Bring home a little Aloha with this awesome tribal-tapa-tiki print shirt from the crew at Aisokula. 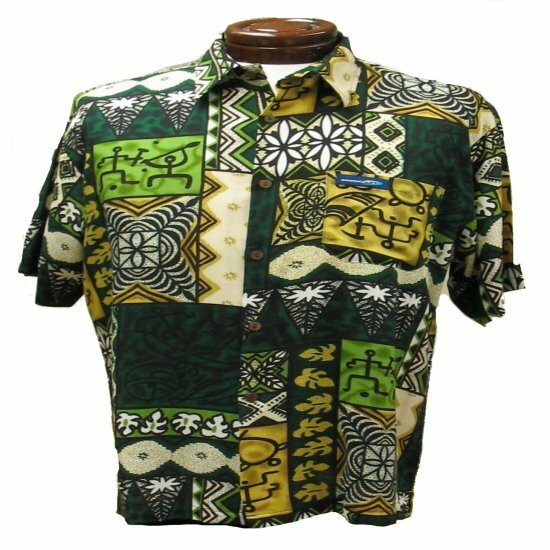 Shirt features brilliant green and gold colors, with petroglyph figures and tribal, tapa designs. Made with 100% silky-smooth Rayon and genuine coconut buttons for that cool island feeling.